Emma Watson makes a perfect Belle on the cover of Entertainment Weekly, which is teasing an upcoming spread that has already given us new images from Disney's live-action ‘Beauty and the Beast’. “ Be our guest for an exclusive first look at @Disney’s magical and romantic live-action #BeautyAndTheBeast! https://t.co/jniafxmEpV pic.twitter.com/xaIGIdc8EA — Entertainment Weekly (@EW) November 2, 2016” EW tweeted. "We tested a lot of yellows. It was just trying to work out the tone," costume designer Jacqueline Durran told ‘EW’ speaking about the gorgeous yellow gown. "It's still made of silk, but it has a satin finish, so it's less transparent than other organza." There is a cage under some parts of [the skirt]," Durran says. "But mainly it's layers of organza that just give it a lift, for it to have lightness." Written by Stephen Chbosky (The Perks of Being a Wallflower), Beauty and the Beast brings the classic fairy tale to life with new music from Disney alum Alan Menken and Sir Tim Rice. Watson and Stevens will be joined by Luke Evans as Gaston, Kevin Kline as Maurice, Josh Gad as LeFou, Emma Thompson as Mrs. Potts, among the rest of the amazingly star-studded cast, which includes a delightful new character named Cadenza the grand piano, voiced by Stanley Tucci. 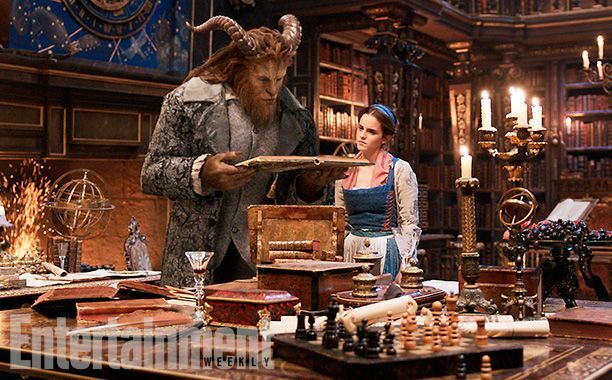 “Beauty and the Beast” waltzes into theaters March 17, 2017.